Over the last few years, both trainers have established themselves as two of the top coaches on the muaythai circuit by successfully training and developing a number of leading muaythai fighters. Now based at EB Fight Club Bangkok with their own fight teams, the trainers are each looking for three fighters to join their teams. For a period of 1 week from 10-15th February, a select number of fighters will be invited to attend a series of trial training sessions to determine which 3 fighters will be selected to join each team. In order to be eligible, fighters must be foreigners based in Thailand and planning to stay for a minimum of 3 months after the trial session. 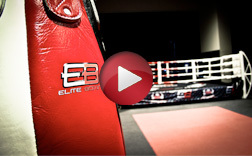 The selected fighters will then be invited to the trail training sessions by EB. Three fighters will be selected to join each team. They will then be trained and developed by their team leader with management support provided by EB. The exact details of the conditions will be negotiated individually between each fighter and his team leader.